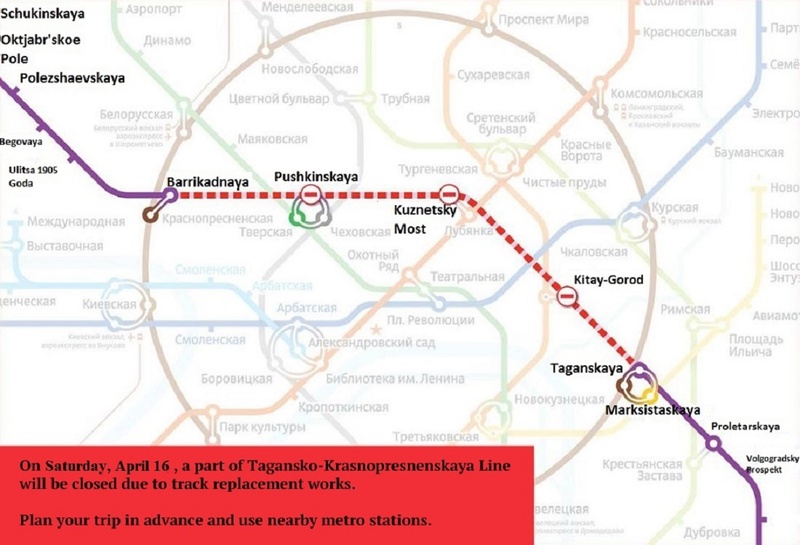 On April 4 and 5, 2015 entrance and exit of passengers to the Tretyakovskaya metro station of Kalininskaya line will be closed due to repairs of the escalators. Entry and exit to the station will be carried out through the lobby of Tretyakovskaya station of Kaluzhsko-Rigzhskaya line. 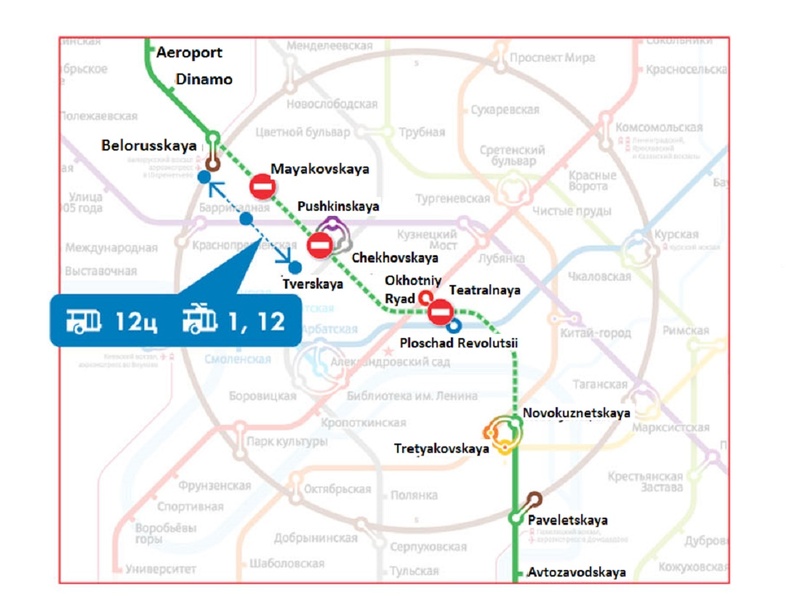 All other stations of Kalininskaya metro line will operate as usual. Moscow Metro is holding many repairs works this year. Thus, in general, different parts of the subway will be closed for repairs for 20 times during the year. Moreover, some stations await overhaul in 2015. 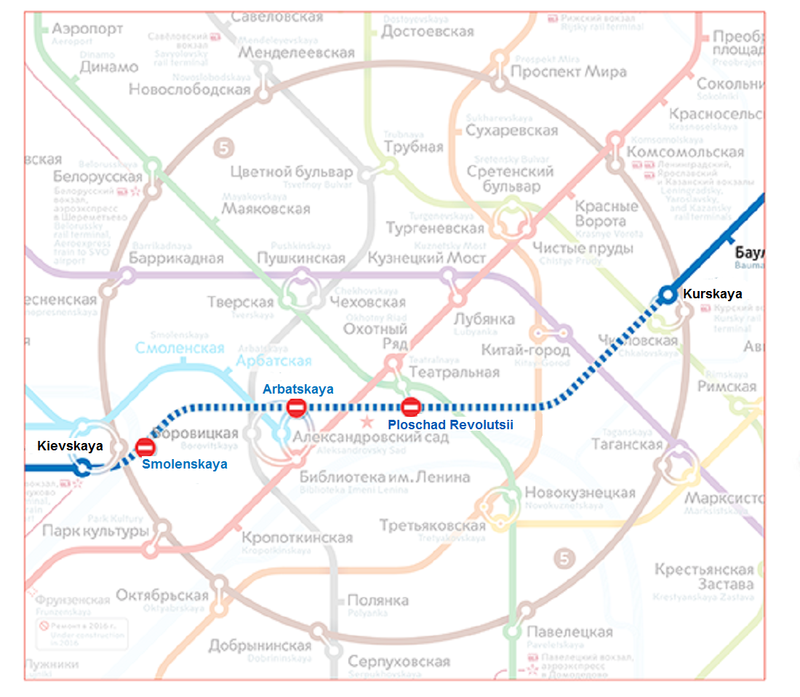 It is planned to completely replace escalators at Frunzinskaya, Rizhskaya and Baumanskaya stations. Prospekt Mira of the Ring line and Botanichesky Sad also prepare for repairs. There, only one of the lobbies will be closed.